This needs no words! 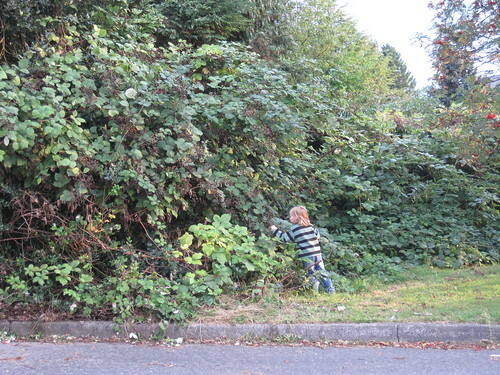 I am in love with everything about this post:) You are blessed to have a blackberry patch this size across the street from your house! Wow!